School Advisory Councils (SAC) sets up priorities and student performance standards that serve as guiding principles for schools. 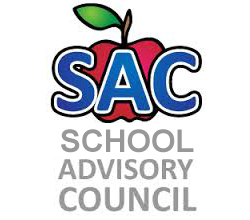 Each school has a School Advisory Council (SAC) to facilitate the development and monitor progress of the annual School Improvement Plan. Agendas and minutes reflect annual needs assessment, SIP monitoring and allocation of Accountability Funds.